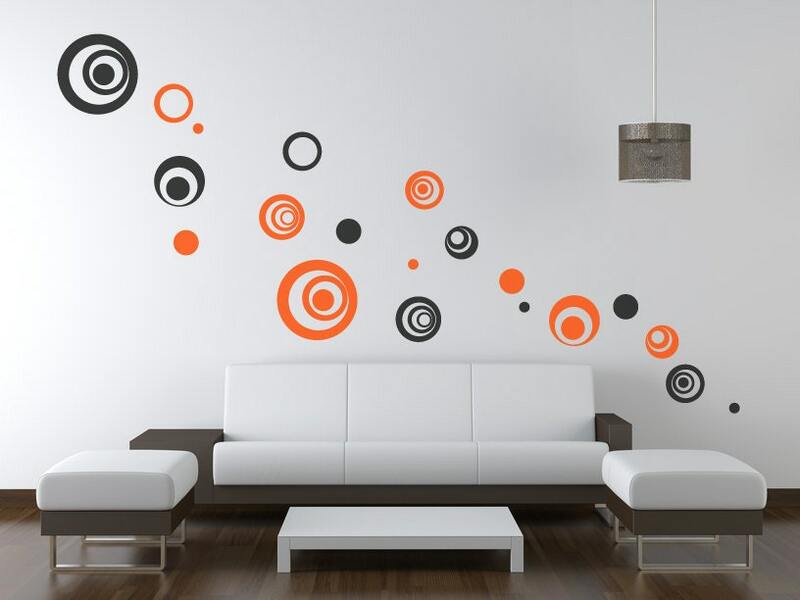 A pack of 10 abstract circle wall decal stickers. 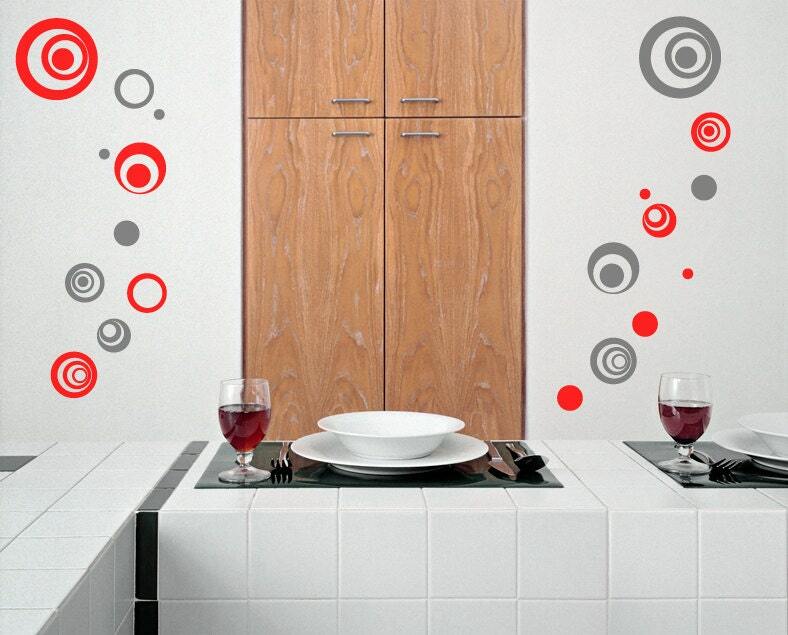 These circle wall decals look amazing on any wall or smooth flat surface they are placed on. Transform any plain wall, turning it into a talking point and a feature point of a room! 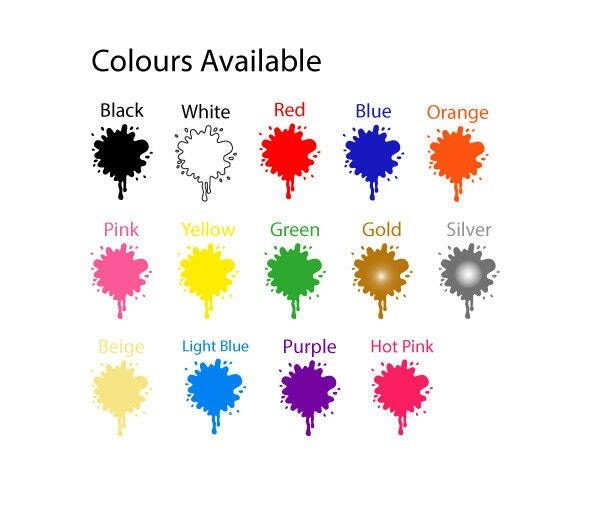 Great for use in the home or in an office to spice things up. 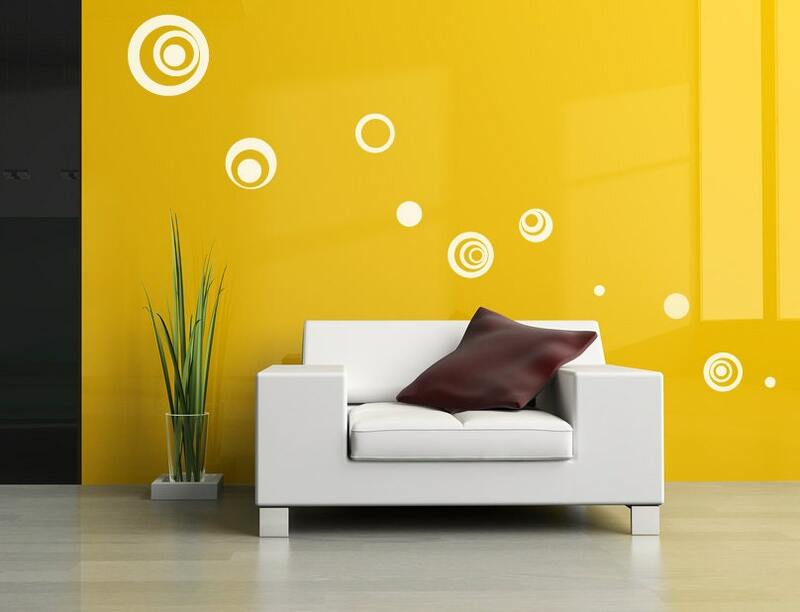 ★ Sizes of the circle wall decals range from 20cm (7.8 inches) to 11.5cm (4.5 inches), and the smallest circles are 2.5cm (1 inch).